Hey everyone! I have something exciting to share with you all today. 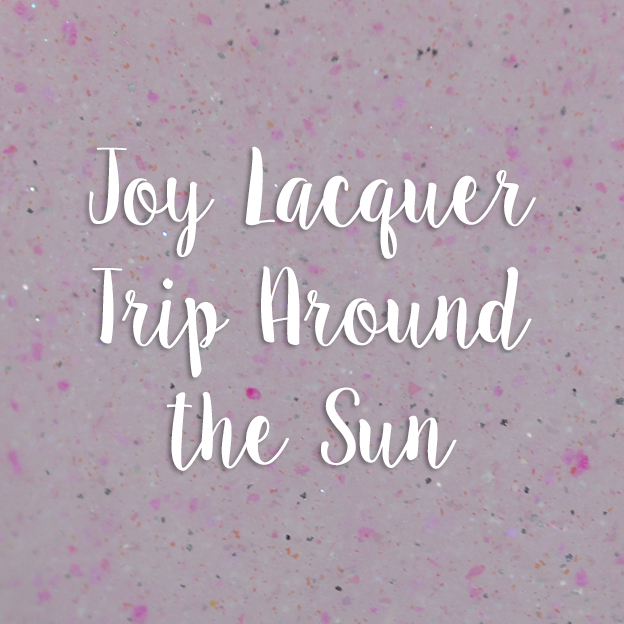 Joy Lacquer is releasing a beautiful solar trio, meaning they change color when you're outside in the sun! 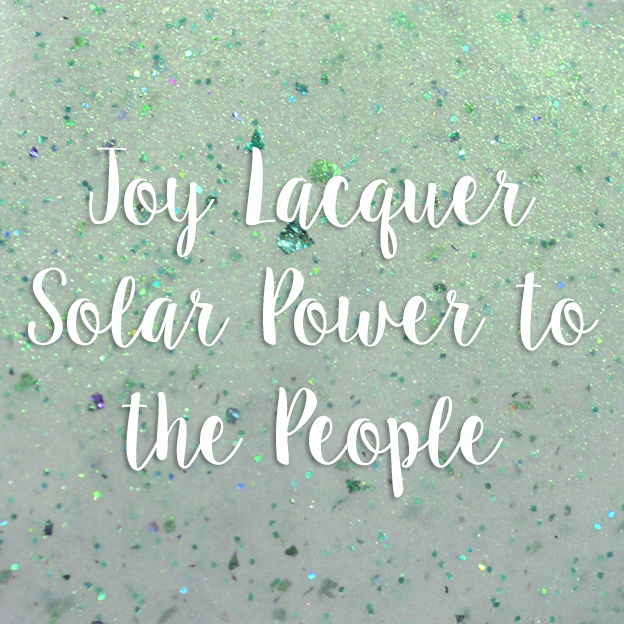 I've reviewed one solar collection before and they were really intriguing so when she asked if I would swatch these I was super excited! Description: A silvery blue holo and has a strong blue flash indoors. In direct sun or UV light it turns deep magenta pink and the blue elements become very strong in contrast to the pink. Application & Formula: Good formula, goes on sheer and has visible nail line. Easy, smooth application. 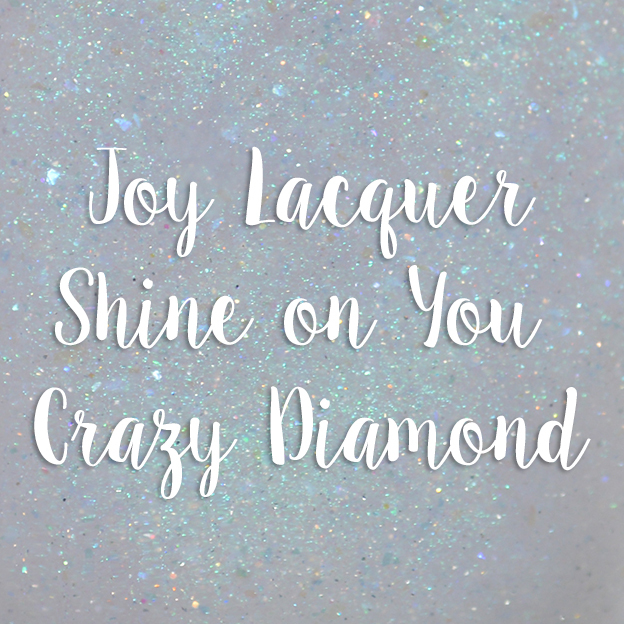 Description: A pearly white with a strong green shift with green holo microglitter and green chrome flakies. 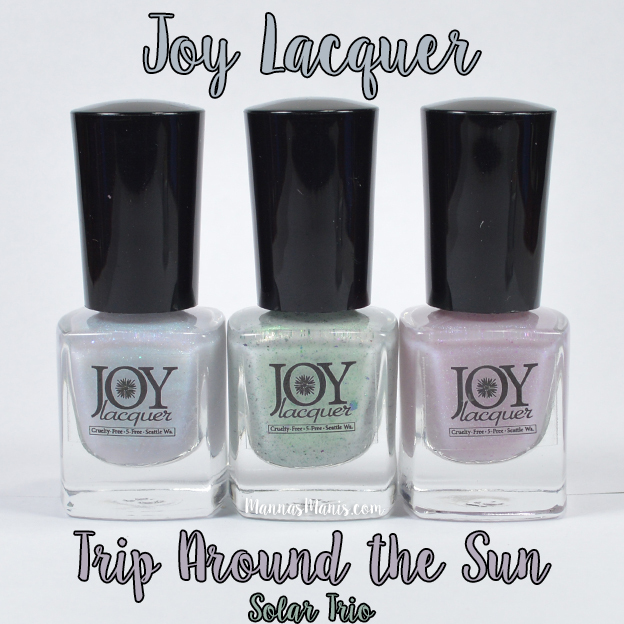 In direct sun, it turns bright violet and the green chrome flakies are still visible in contrast to the violet base. Application & Formula: Great formula! Easy, smooth application. 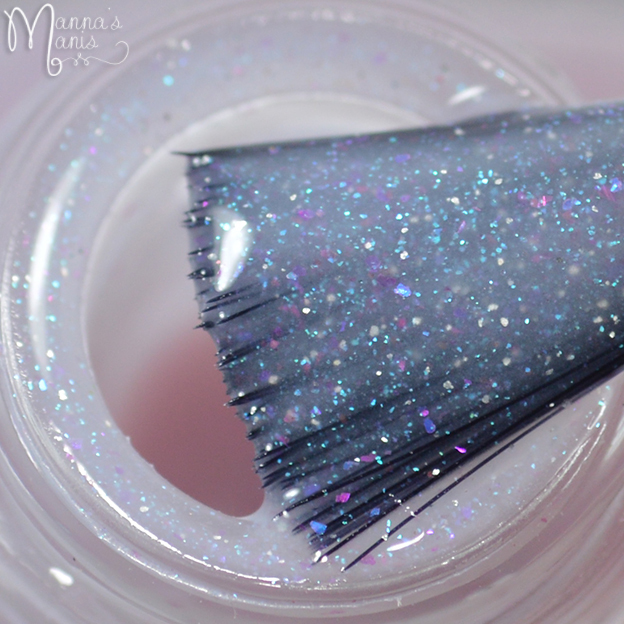 Description: A very pale pinkish white with silver sparkles and iridescent blue sparkles & pink chameleon micro-flecks. In direct sun or UV light it turns a deep sky blue color. 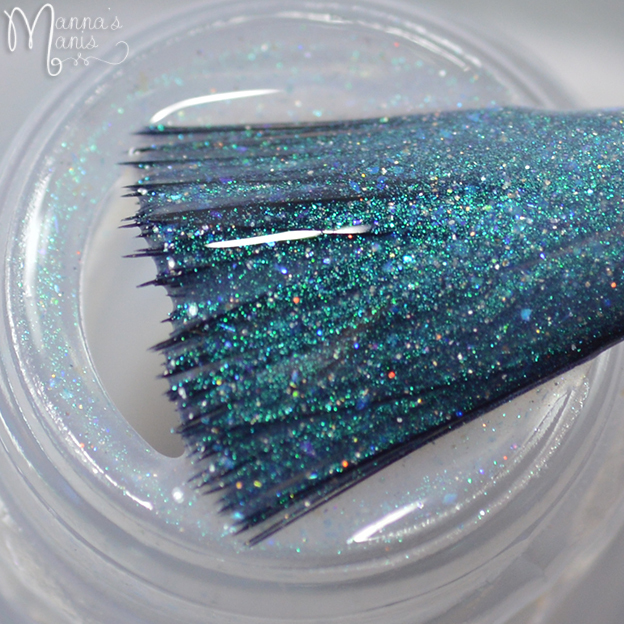 The pink chameleon sparkles become very apparent in the blue contrasting base. Final thoughts: Beautiful and creative collection! The polishes had zero issues transitioning outside, it was instant. Direct sunlight IS best, but I noticed the color change even when the sun was hiding behind the clouds. These would be really fun to wear to a pool party or water park this summer! Price & Availability: Available tomorrow, May 5th! $14 for the mini trio, or $10.50 for individual full size bottles.